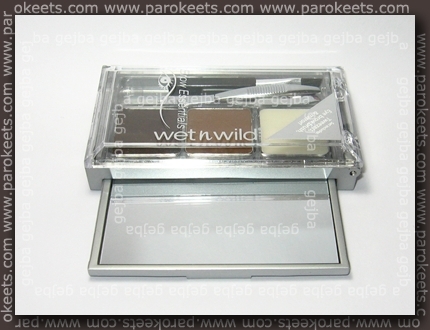 While snooping at Wet n Wild stand, I saw this cute eyebrow kit … and had to buy it. 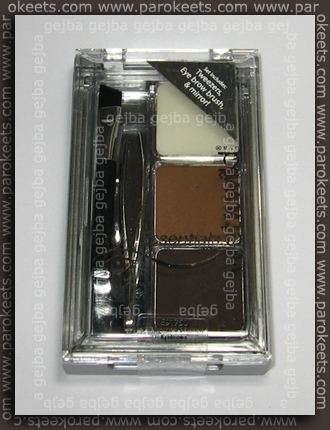 Set contains: 2 shaded brow powders, wax, tweezers, brush and mirror. Both tweezers and brush are very useful. 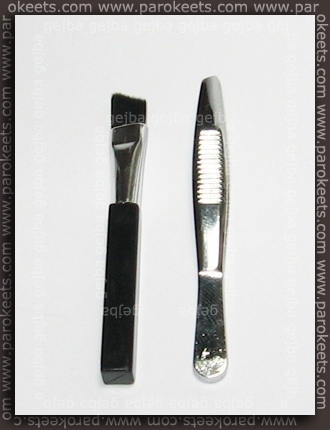 Tweezers are really tiny – they measure only 5 cm in length. I didn’t expect much from them, but they’re really handy when shaping eyebrows. Brush is stiff enough to do the job, but not rough enough to hurt your skin. My set is designed for blonds and brunettes. 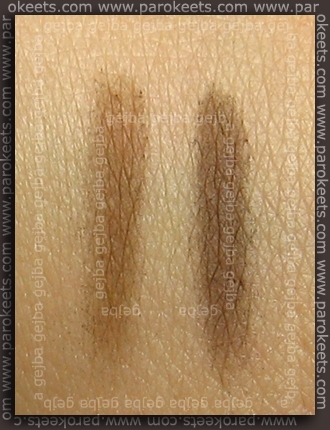 Lighter color is light brown, while darker is darker grayish brown color. Both colors are more cool than warm toned. They do look a lot warmer in sun light. I liked the wax – a lot. It kept my disobedient brows in their place all day long. If you go to the Wet n Wild UK main page, you’ll get few tips how to fill your brows. I prefer second technique. You even get little mirror with this set. 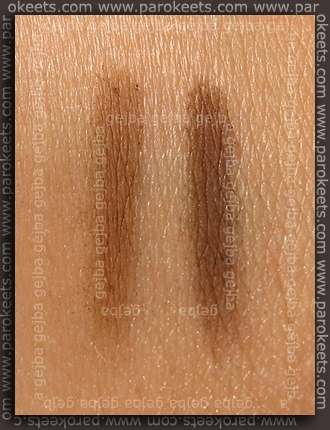 It just confirms “must have” status of the Wet n Wild Brow Essential kit. 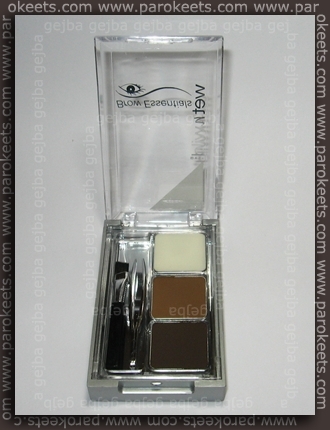 I paid 4.45 EUR (6 USD) for Brow Essentials. Don’t forget: voting for Nails are my joy giveaway ends today at 11:59 PM (GMT +2). I was pleasantly surprised with my last purchases from WnW. Everything was actually good. That is a nice kit. I’ve payed plenty for the Smashbox Brow Kit. I love the wax, it really does work. I haven’t bothered with WetnWild for so long. I thought it was just crap. Seems like they’ve really changed. Z barvanjem zapolnimo vrzeli. Jaz imam temne obrvi, tako da se hitro pozna, če izpulim kako dlako preveč oz. je enostavno ni tam, kjer bi morala biti. V čem pa je smisel barvanja obrvi s temi senčili?